Pets welcome! 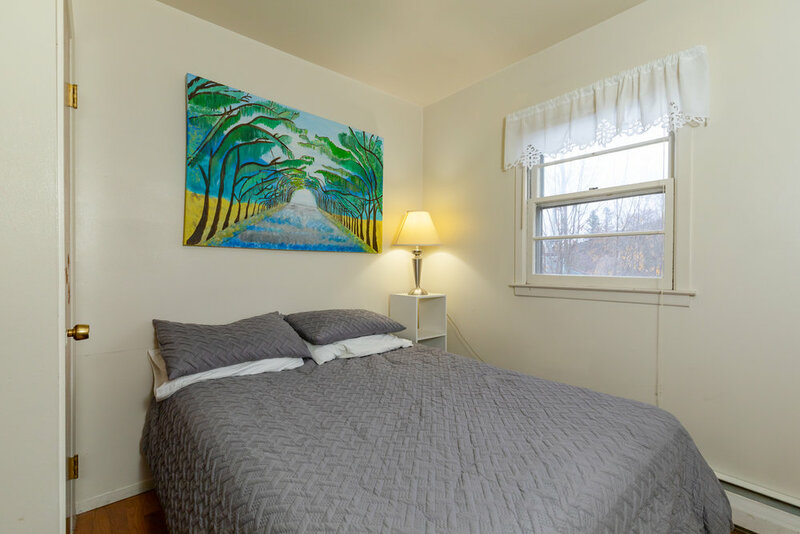 Hudson Hollow is our three-bedroom vacation rental, located next door to the inn. 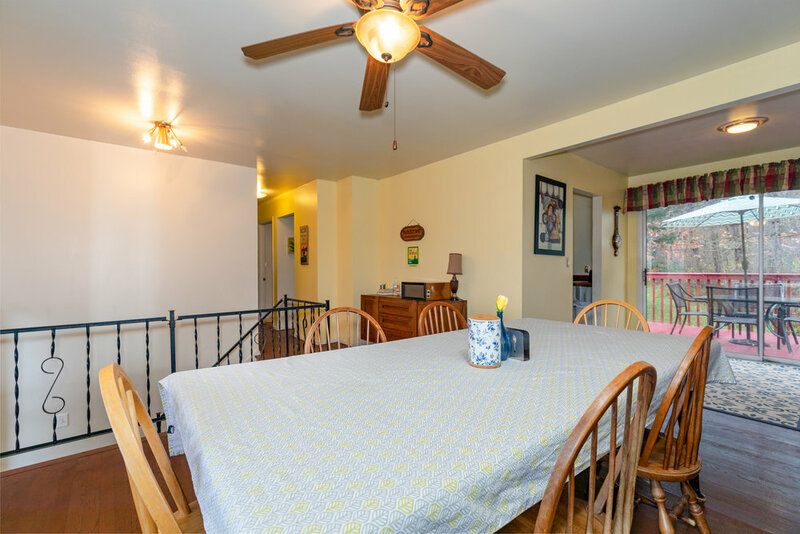 Enjoy a fully equipped kitchen, dining room, propane grill, huge living room with a flat-screen TV and wood-burning fireplace, and a deck overlooking the backyard. The rental is self-catering and separate from the B&B – all linens are provided, and housekeeping can be arranged in the case of extended stays, but it does not include breakfast or other B&B amenities. There is a queen-size bed, full-size bed, two twin beds, and a shared bathroom with a shower tub. Guests are invited to enjoy the huge backyard with plenty of space for games, picnics, or short hikes along the creek to see our secret waterfalls. There is a $25 per-pet, per-night fee, and a maximum of two pets. Rates start at $199/night +tax.